If we think about how advertising for companies is managed, as far their products made for men and/or women, we can see that they are almost never the same; from colors, messages, products, services and even the way to sell to your potential buyer. Now I know what you are thinking, “well DUH, consumer patterns between men and women are way different, therefore ads for one another NEED to be different!”, but in this case we will go into WHY is this so true. 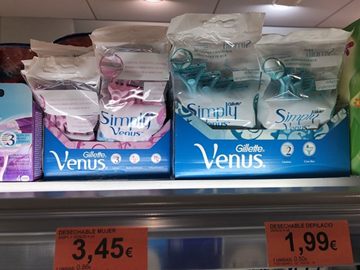 If you evaluate the consumption behavior of men and women, we will see how their priorities change radically; companies know perfectly well by now how to sell to these two markets, but what we don’t agree with is the PRICE difference between virtually exactly the same products! Now we’ll explain how selling products or services vary from men to women, as we said before both seek totally different experiences when buying something. 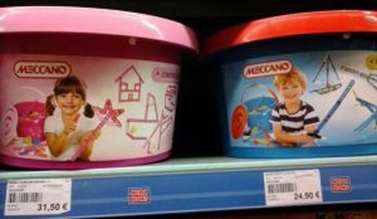 If we look at this image for a few seconds, we will clearly see a difference between the way the men and women are stereotypically portrayed in their thought process. 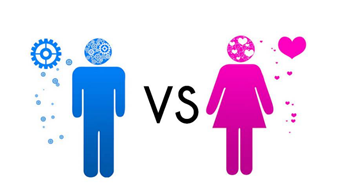 All stereotypes aside, the symbol of a woman surrounded by hearts represents how women lean more to the emotional side whereas men tend to have a more straightforward approach. This in marketing, tells us women look for stories and experience based fulfillment, while men seek functionality and value when shopping for any given item. Based on these ideas and concepts, it’s essential to know what the ways and means of addressing these two types of consumers are. 1. Let her talk and communicate with her. 5. 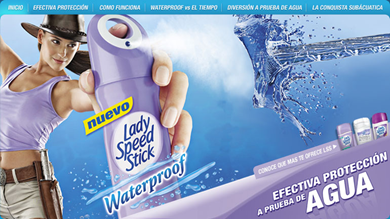 The female consumer is detailed oriented, be prepared and have a good presentation of the product or service. 1. Sell pleasure to them. 2. Give them the opportunity to be interested in your product. 3. Always uses the 5 senses (taste, smell, sight and touch). 4. Tell them how comfortable and easy is your product or service is to use. 5. Don´t sell stories, just benefits. 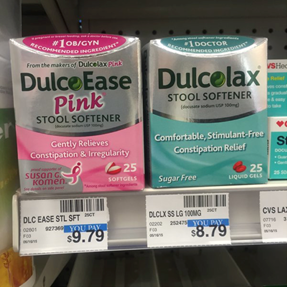 The pink tax became a crucial issue when in 2015 the Department of Consumer Affairs of New York published a report on comparing more than 800 products, from 90 brands in 24 different stores, giving the conclusion that women pay on average 7 % more than men for these same products, with the same function and brand. 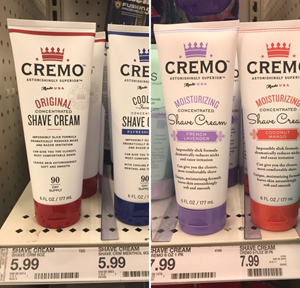 Exposing this huge pricing difference that companies specifically charge to women. -Where women advocate groups and organizations like the Foundation for the Study and Research on Women (FEIM) in Argentina, say it is a discrimination against women through their personal care products. 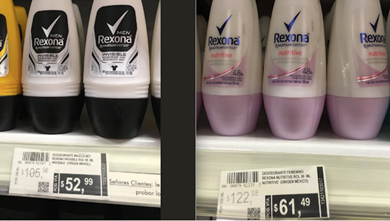 -Or how companies justify this price difference, because it is more expensive for them to produce these pink products, using stronger formulas for aromas and ingredients, which are supposedly less present in men’s products (Yeah, I don’t believe that one either ). According to Gemma Cernuda in one of her TED Talk’s in Barcelona, ​​Spain back in 2015, the Boston Consulting Group study shows that 51% of the planet´s population are women, which in turn influence 80% of purchasing decisions in the market. If this is all true, I can see why marketing towards women has become the most common target. There may be many reasons why the “pink tax” exists and why until now it has become viral. But what do you think? 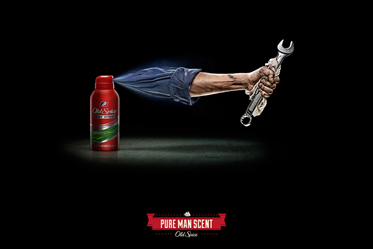 Does equality have playing field within marketing? 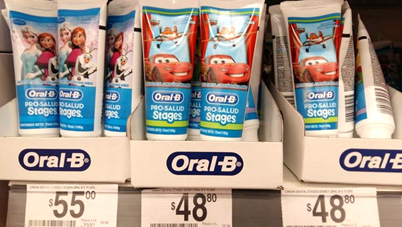 Or are these pricing strategies completely justified? It is fascinating to see and study consumer behavior, but should the conclusion from these studies only be used for supposed taxes and higher cost of living each day? We can only see the outcome from this one and “sit back and watch the comments”. Let me know how you feel!